But I ask myself, how hard does it have to be to get one measly blog post out? I started this one, my first since March, almost four weeks ago if that tells you anything. Some of you will know from Facebook that after a brave two weeks and two days, we said goodbye to our darling, sweet Maisy. All of us heartbroken, but especially my youngest Aspie, for whom Maisy was a constant companion and true friend. Life is struggle enough for anyone with Asperger’s Syndrome. The unconditional love and companionship of a family pet brings comfort and security in a world that so often feels remote and uncaring, alien even. And then in April we sold our house, having had it on the market since February and barely any viewings and not even mentioning it much because, honestly, I thought it wasn’t going to happen. In early May, I did manage an essay for Dr Gulara Vincent’s inspiring ‘Not Good Enough’ blog series. It stirred me up and reminded me that being good enough isn’t measured in what we do, but in who we are and those we love and who love us along the way. Thoughts of my dad grow keen again…then I remember that it was this time last year, approaching Father’s Day that I hadn’t heard from him for a few weeks, before I knew how ill he really was. Now I rush past shops selling Father’s Day cards, sharply reminded that I will never buy one of those again. I miss my dad so much. On the writing front, I am pushing through one small step at a time, but I fight constantly for writing time. Sometimes I wish I could let the memoir go because I will have no peace until I do. It claws at my throat and fills my every waking thought and I want to sit at my laptop and say, right, today I Am Going To Finish It. Instead, I tell myself that better a short paragraph than nothing at all…so long as it is never nothing. And finally, on a lighter note, once again London Calls. I will be there this weekend at the Blogger’s Bash. I don’t feel much like a blogger these days, but I’m so much looking forward to seeing ‘old’ friends and meeting new, as well as missing those who can’t be there. My plan – ha! – is to try to catch up with as many of you as possible over the coming days… determined if nothing else. 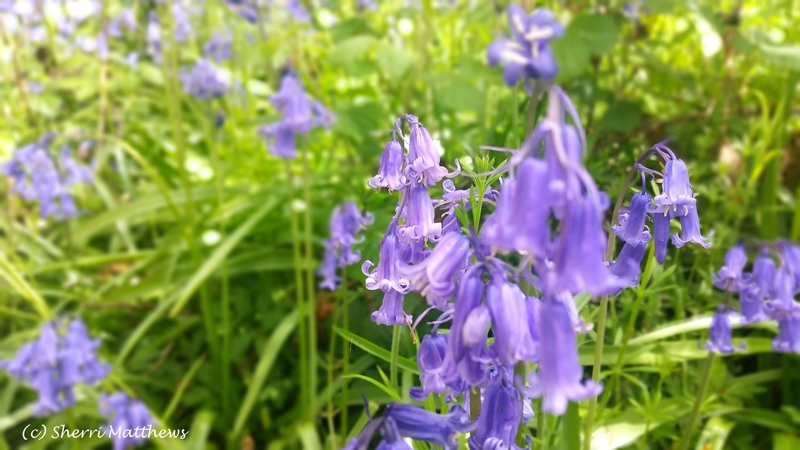 This entry was posted in Asperger's Syndrome, Blogging, Nature & Wildlife and tagged #BloggersBash, Asperger's Syndrome, Blogging, cats, English Bluebell Woods, Father's Day, Grief, London, Memoir Writing, Owls, The Woodland Trust, Weekly Photo Challenge. Bookmark the permalink. You’ve had such a lot going on in your life lately, both good and bad. Wishing you the very best! Been thinking of you lots lately. So glad you’re all safe but so sorry for this difficult time. Sending you lots of love and hugs from Paso! Oh, goodness, Sherri…you have had a lot to contend with. Lovely to see a post from you again, and sending you hugs! Oh, no! Maisy. ❤ I'm so sorry. Much love to you and your family. So, wow. This is a lot. I hope things go smoothly with all the transitions you're facing here. And for your daughter and mum. I would love to see a photo of your new writing spot and do hope it's a place with a view so you can look at flowers and catch a glimpse of your robin. I don't have words for what has been happening in London. It's eating me up inside. I am so sorry to you, to your country, to the world. Our world. OHHHHH…goodbye Maisy. 😦 So many people loved you who you had never met! I remember you making an appearance on my blog so many years ago. We all miss you, but I’m sure you will continue to look over your Human Mum from up above. Good to get a catch up post, Sherri, and at least we know that in the future we’ll have a new view to share with you, when you’re ‘settled’, for want of a better word. 🙂 🙂 My James was also not too far from the nightmare at London Bridge. He was at a birthday bash at Epsom races with friends and heading north through the city on an awry plan. Thank God he was one of the lucky ones and I got a text Sunday morning saying he’d missed it all. Life, sweetheart! We are the lucky ones. 🙂 Enjoy your Bash, hon. I know you’ll be met with open arms. Good to see a post from you. I’m so sad over the loss of Maisy. I’ve had cats all my life and they become members of the family. It’s so sad when the day comes that they leave us. It sounds like you’ve had so much going on in your life. Hang in there. Glad you did get moved and are possibly settled in. Moving is always a hard thing and I know it wasn’t easy to give up the Summerhouse. Maybe you’ll arrange for another where you are now. Yes, the bombings are horrible in London. I have no words for that either. The world we live in today is filled with such terrible people wanting to harm others. I’m glad you and your family are safe. Sometimes we all find it hard to write as much as we’d like to. I haven’t touched my book for months and I feel awfully guilty about that all the time and wish there were more hours in a day. I’m also guilty about not blogging regularly. I was away visiting family for a while but I needed to go and see my mum because it had been five years and she has dementia. I couldn’t let that go too much longer, as her mind gets worse all the time. I didn’t even get on the computer the entire time I was gone, although I did take it with me. I’m trying to play catch up now and trying to be better, but sometimes life gets in the way. It was so good to see family though. 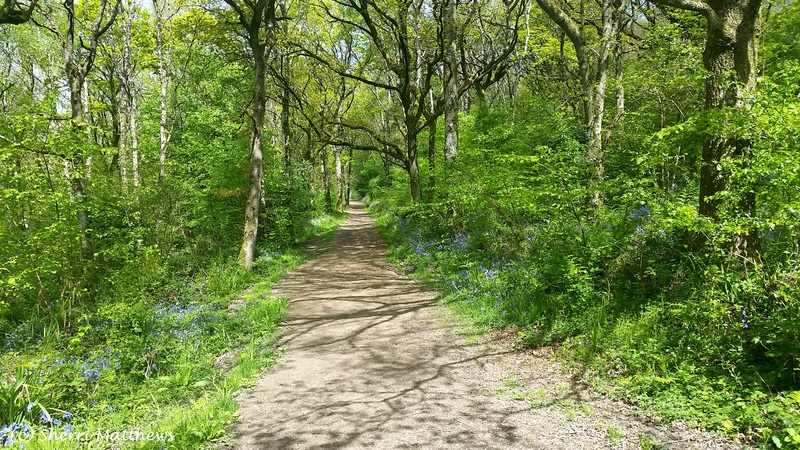 Your pictures of the bluebells are gorgeous. Thanks for sharing those with us, even though they are no longer blooming. I hope you have a great weekend ahead. You deserve to get out and connect with old friends again and to make new ones. I’m sure you’ll come back renewed. Blog when you can. We all understand. xxxx Patchy was the first cat my husband brought home from the dairy. But not the last ha! Oh Sherri, Wow!! So so much, just breathing makes you a champ!! And I know you are handling it all with grace. Congrats on Aspie’s apt, and the sell of your house, and finding the right place to add Mum to the family home. I know how difficult that is going to be. but best to have her so close! And so proud of Aspie!! I know you’re over the moon at her success in life, even tho you’re sad that your last chick has spread her wings, and flown. And, such deep condolences on the loss of Maisy. 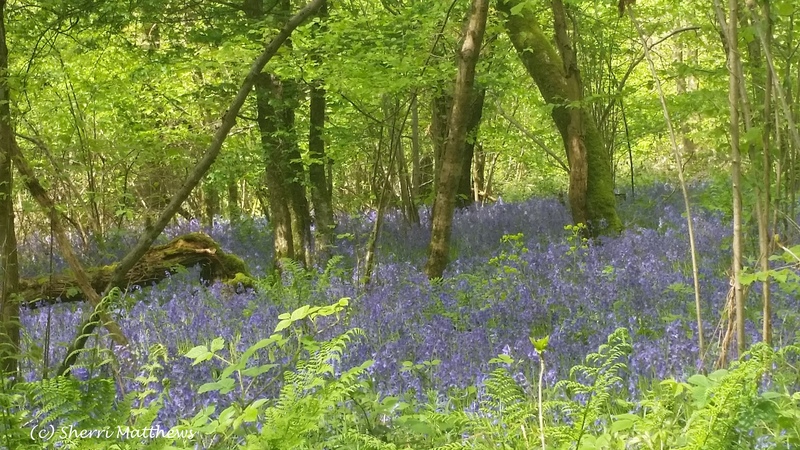 The bluebells are gorgeous, thanks for sharing them! So many swirling emotions, I’m so glad you’re dealing with your head held high, and not being overcome by the swelling waters. The Bible does promise us that! Of course you’re a blogger, young lady! Never say that again! lol I hope you make it to the Bash, and revel in the reconnections, and just generally have a terrific time! Oh Sherri, I hope you can just relax, and enjoy the weekend!! I love chatting to you too! No problem, sherri, please don’t stress about me!! Tee hee, that tickles me that it pleased you so much!! You’re so welcome, friend!! you’ve been good to me, too. Beautiful bittersweet and always engaging writing. Shame we couldn’t meet up but that was probably around the time I was quite ill too! So not meant to be on this occasion. Good luck with the move – I hate all the paperwork and toing and froing between solicitors, they always seems to take so long! Oh no Jude, so sorry to hear you’ve been ill. Hope you’re well on the mend now. Another time for sure 🙂 Thanks for the move, and yes, agreed, it is so frustrating, nothing much of any good to say about it really until we take hold of the key to the front door. Time will tell! Storms and sunshine blowing through your Summerhouse, Sherri. How you must miss sweet Maisy and the emptiness of a fledged home, but hardest yet it the loss of your Dad. Buy a card, Sherri. I know you can’t give it to him, but but him ones that expresses how you feel this year, this first year without him. I’m sending you so much love and big hugs. I want to wrap you up and tell you it will all be okay when I really don’t know but believe it anyhow. I’m so relieved all your chicks are safe. You and all the bloggers keep safe and enjoy the comeraderi! P. S. I love your photos especially the first one! And I know what you mean about Father’s Day. I went through that for the first few years my dad was gone. You’re welcome, my dear friend! Things have been hectic here, too. Grace leaves Wednesday for Missouri and Josh leaves that day also to go out on an 8-day spike (working in the wilderness somewhere with his crew.) So it will be pretty quiet around here. I plan to get myself more organized and get started on finishing some projects! 🙂 I hope you are having a lovely weekend as well! Love you, Sherri. Look, we nearly lost the will to live over it. I did not want to move but we could not afford the house any longer. Anyway, it was sold the night it went on but the guy we sold to had not sold his , which was fine cos our younger girl was pregnant and she needs a lot in the way of support. Anyway he sold his house the day our grandson was born. I thought we will never find a place at short notice, a nice place, a place I could feel happy in etc etc etc . But we did three days later BUT then there was a prob getting a small mortgage despite the fact my hubby had early retirement and a regular pension coming in. Talk about TRAUMA. Eventually okay…we got that mortgage under buy to let. ( Now all sorted.) You have no idea of the money they throw at that. it was after the house nearly got put back up for sale. I tell you it was a scarifying experience. AND I have not even started on the carry on re our solicitor trying to force us into selling our house to this vile couple and NOT passing on messages from the man who had wanted our house straight off. SHOCKING. We later found out they were fined 15 grand for doing things like this and they are still at the capers. THEN there was the biz where I binned and binned things cos despite the space here, I thought I am not taking 3 feet off the upstairs sitting room to build cupboards to house a load of old junk. AS I binned half my life, I wished for one set of attic eaves like we were leaving behind. When we then popped over to see the house, like where things were like meters and stuff, as we were driving off Mr goes, ‘ Do you know there is a set of attic eaves, better than ours ?’ I thought WHAT? I shoulda wished for a swimming pool. Oh my dearest Sherri, what a treat to see a blog post from you pop up in my email. 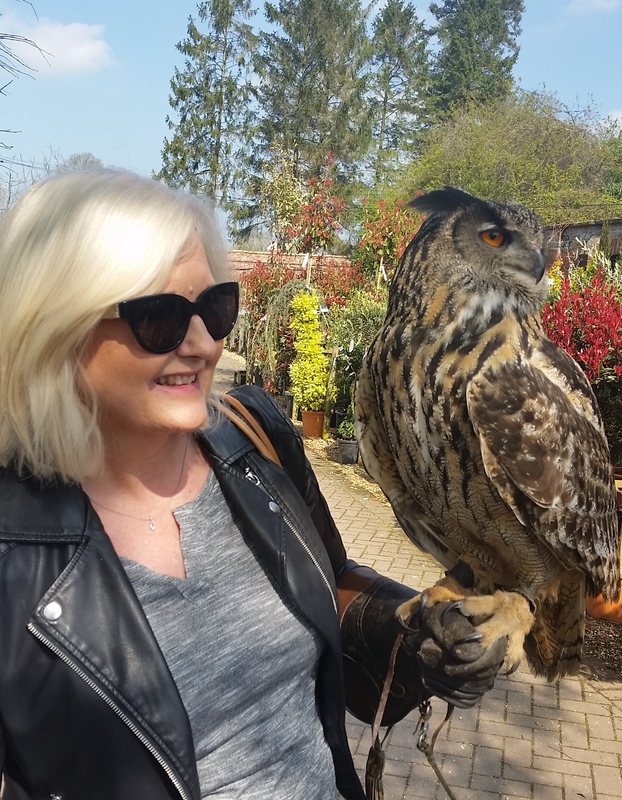 It’s so hard to keep up with blogging when life becomes busy isn’t it? I too have had a busy spring and things over at Sweet Precision have been at a standstill for a few months. The best part is that you can jump right back in and pick-up where you left off. We all have an ebb and flow to our blogging! My goodness, from speeding tickets to moving houses, you’ve been quite busy! We are contemplating moving in the winter when our lease is up and I’m dreading it because moving is just SO much work! I hope that you found a place you enjoy (with a lovely writing location) and are slowly getting settled in. Father’s Day can bring about so many different emotions, can’t it? While it’s joyful and full of celebration for many, it can be a time of sorrow for others. Matthew grew up with an absent father so the day is always a sad reminder for him. Sending you love and happy memories of your father (I always think of the fox story) during this time. So incredibly good to hear from you my friend! I hope my note finds you sailing into the weekend and enjoying your blogging event! So good to read you again, Sherri, even though the news are bittersweet. Little Maisy was adorable. So many changes in your life must be also a mixed bag of emotions. And you were on my thoughts with London. I wish you peace and harmony. See you soon on your blog or mine. Hugs. Have a good weekend and then we’ll have a lovely chat. You have had a manic time. I feel for you in in your loss of Maisy, I’ve lost my two border terrier sisters in the last six weeks and I’m heartbroken. Hope things settle for you now. Well, you’ve certainly been busy whilst you’ve been away, Sherri! Sorry to hear about Maisy. Writing and blogging tends to take a back seat when there’s a bit going on, but it’s good to see you, even every once in a while! Wonderful to see you at The Bloggers Bash and I’m so glad we had a chance to talk. Wishing you well with the upcoming house move. As they say, “new doors and all that.” A new chapter in your lives is about to begin and, with it, that book is going to be a big part of it. I look forward to it. Oh Hugh…you know how late I am for everything! You’re never late…and you have been more than a little busy! it’s always wonderful to catch up with you and it was fantastic to see you again at the BB. I’ve just got my post up at last – not bad for me, eh? 😉 I saw you had your video up and have linked to it. It was a really wonderful and yes, fun day. Can’t wait for the next one! I hope you had a good journey home…we were all happy but tired I think! I’m just off to read you post about the Bloggers Bash. I’ve really enjoyed reading all the posts about it and no doubt will enjoy reading your version of that day. 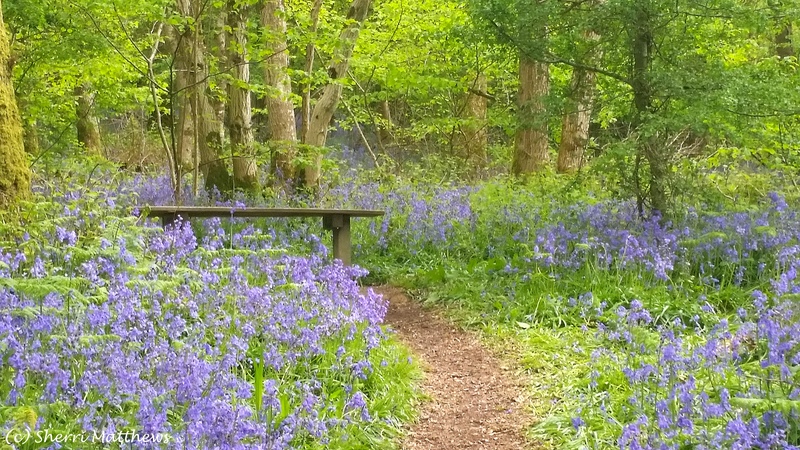 The bluebells are breathtaking. And a great post. Thank you for sharing. Wow Sherri, so many changes, many I can relate to. Keep writing and moving forward. It will all work itself out. Peace and love to you!